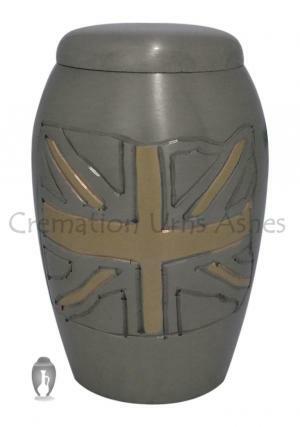 Small Size UK Flag Engraved Keepsake Cremation Brass Urn for Ashes. 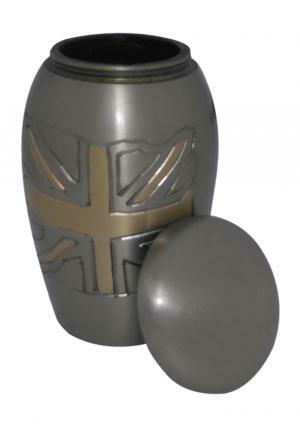 Our mini UK flag keepsake brass urn is made of highly qualified solid brass. 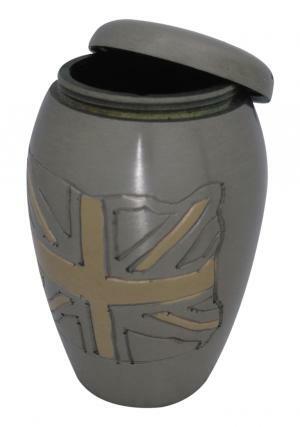 This elegant UK flag urn is eye catching hand painted on brass urn with UK flag. You can safely store your loved ones token amount of human cremation ashes in this small memorial keepsake brass urn. This graceful and refined flag keepsake funeral urn will helps to fulfill the promises of your family member who expired. Place this daisy keepsake urn at any place in your home as decorative item. It is a good looking and beautiful design by our skilled artisan. 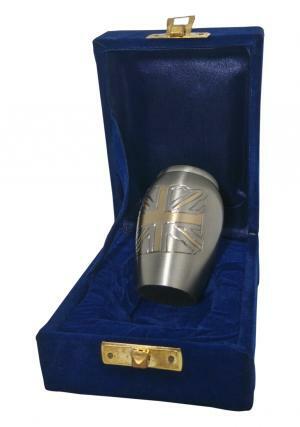 This legend UK flag memorial urn is finished with UK flag paint on keepsake brass urn. 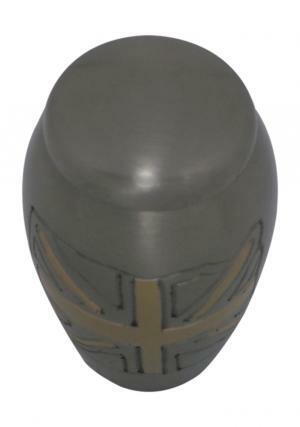 This small funeral urn ashes available at the size of 3 inches high and weight is 0.270 Kg. Buy this online with our 100% secured payment gateways like PayPal and get free shipping within UK mainland.